Sarha Halgan, a young woman from Somaliland, sings her way to Europe to trigger an effect on the international scene by bringing a wave of awareness of her country’s needs and rights. Sarha Halgan defied social norms aged 13 when she started singing in public in the Somaliland capital Hargeisa. She's gone on to become the only Somalilander to have an international career, using her voice to appeal to the international community to acknowledge her country and its four million people. Somaliland is a small self-proclaimed state on the southern part of the Gulf of Eden. It broke away from Somalia in 1991 after years of bloody civil war but has never been recognised. During the conflict Halgan took an active role in the SNA resistance movement, tending to the wounded, and when the pain-killers ran out soothing them to sleep with her beautiful renditions of traditional nomadic songs. After Somaliland declared its independence, and yet fighting continued, she found asylum in France and stayed here 20 years, working with many French and foreign musicians. 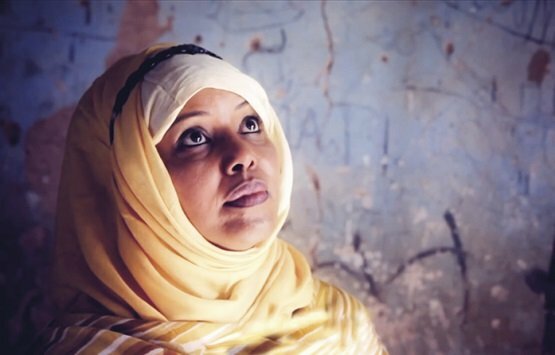 In 2013 she decided it was time to go home and returned to the capital Hargeisa to help rebuild her country and open a cultural centre, Hiddow-Dhowr, to showcase struggling Somalilander artists. Her second album Faransiskiyo Somaliland (Franco-Somaliland), recorded with French musicians Maël Saletes (guitar) and Aymeric Krol (drums) tells the very personal story of a woman who, as her name Halgan ("the fighter") attests, has never stopped battling for what she believes in.